How do I choose the best movers? How do I know your movers and packers are trustworthy, dependable and qualified? Why must I pay with a bank check? Why do I have to pay for travel time? Why do I have to pay for overtime? What if the estimate is wrong? Whose problem is that? I have heard that it is customary to tip moving crews. Is this a fact? How much should you tip movers? Why do I need to purchase additional valuation ("insurance") if Morgan Manhattan is such a high quality moving company? Are you going to break things? Are there items that I shouldn’t move? Are there things I am not allowed to move? Can I use "used boxes" in a move? What are the benefits of climate-controlled storage? Does Morgan Manhattan offer it? Should I pay extra for a temperature-controlled environment? Are your trucks clean? Do you "disinfect" them? Do your crews wear uniforms? Are they presentable? How do you protect my furniture when it is being moved? What protective measures do you take to keep damage from happening to my residence? I have new hardwood floors; will they get scratched? When you pack for me, how will I know what items are packed in which cartons? While unpacking for myself, how do I make sure I get every item out of a box before it is disposed of? What are your rates? Do I really need someone to come over? Can't you just give me a ballpark? Without previous experience with a moving company, you will need to do a bit of research. Ask your sales person for a list of recent referrals. Use The Franklin Report and the Better Business Bureau as resources. Compare website information. In the end, make sure you use a company with a history of good service. Many movers come and go, but certain movers have staying power... and there is usually a reason for both! Morgan Manhattan does a complete background screen on every individual before they are hired. This includes criminal records checks, motor vehicle checks, pre-employment credit checks, and drug screens. After they are hired they are put through a training program to teach them the skills they need to execute your move correctly. Field evaluations that show any need for additional training are addressed immediately. All personnel are routinely, randomly tested for drug use. With the exception of part-time summer helpers (given limited responsibility, under careful supervision) all of our crews are full time employees. We never use day laborers or outside contractors. Most moving companies, including ours, require payment in the form of a bank check – equal to either the original estimated cost of the move or a newer, more accurate estimate of the actual cost of the job. If the final bill comes in higher, you can pay the balance with a personal check. If it comes in lower, you will be issued a prompt refund of any overpayment. We do not accept credit cards for local or international moves. It has become customary in the industry to collect funds (cash or bank check) prior to delivery of the goods at the destination in order to avoid moving companies finding themselves in the unenviable position of having completed all of their work and without any compensation for their efforts. Because of the size of the average transaction, credit card companies charge a very significant fee to process moving companies' payments ... in the 2-3% range! Our profit margins are not so large that we can afford to give up that kind of fee; and the law says we can't charge extra if a customer uses a credit card to pay. So, if we were to accept credit cards as a payment option, we would have to increase our prices overall – charging people who do not use a credit card more as well. Rather than artificially increasing our prices to cover the extra expense of accepting credit cards, we have chosen to keep our prices as low as possible and ask people to pay via other methods. The actual cash savings to our customers should outweigh any credit card benefits (i.e. airline miles) since their moving bill will be lower from the start. Very few people actually live near a moving company! Most moving companies warehouses are purposely located in industrial areas far from their customer's homes. If you need the services of a mover and you do not have one nearby your home, there will necessarily be a cost to get the crew, the materials, and the truck there. We pay our men hourly and they punch in when they arrive at the warehouse. We absorb the cost of getting the trucks and the material ready to go, but the clock starts when they leave the warehouse. They remain "on the clock" until they return to the warehouse at the end of the day. We could increase our hourly rates slightly to cover the travel time cost, and then make it appear as if we do not charge for travel time, but that would spread the extra cost disproportionately. We believe it is fair to ask you to pay us... since we pay our men as well. Our drivers, movers, and packers work really hard – many time for long arduous days. Whereas some employers, looking out for their bottom line more than the welfare of their employees, choose to only pay overtime after 40 hours per week, we think it is right to pay our crews overtime after 8 hours per day. After all, many times the hardest work is at the end of a long day and our crews are still working as hard as the were early in the morning! Our estimators will always try to determine if your move is most efficiently handled with fewer, longer days with overtime or more, shorter days without overtime. You can rest assured that if you are better off without overtime your move will be scheduled that way. If overtime is necessary – either because it is best for you or because of unforeseen issues – we charge time and one-half after 8 hours and double time on weekends and holidays. What happens if the estimate is wrong? Whose problem is that? Some movers intentionally underestimate a move to make themselves look cheaper than their competition. Once your goods are on their truck, you have no leverage when they ask for more money. However, an estimate from a reputable mover is just that ... their good faith projection of the cost of the job as it was presented. The estimator will try to look at everything that is involved with the move and will do his best to estimate the size of the job, how long it will take and how much it will cost. If you make sure you give the estimator a COMPLETE understanding of the task at hand you can be sure that your estimate will be as "correct" as possible. At the end of the job, you will be asked to pay for the actual cost of the move – whether it is higher or lower than the estimated cost. Even the best moving companies sometimes make mistakes with their estimates. Unforseen events (weather, traffic, elevator problems, etc.) can influence the execution of a job and therefore the price can be affected. Unless you are aware of things under the mover's control that caused the job to go higher than the estimate, it is only fair that you compensate them for their actual effort to move you. If you are anxious about hiring a mover based on the estimated cost, you might ask them to give you a "fixed price bid" – i.e. one set price regardless of the actual time, size and effort. Be aware that this option can work against you if the actual costs come in lower than estimated. Movers will tend to increase their estimate to "cover themselves" for unanticipated costs when they provide a fixed price bid. It has, in fact, become customary to tip moving crews if you feel that they deserve something extra, based on the job they have done. Some movers expect it and other even have been known to demand it!! At Morgan Manhattan a tip is exactly what a tip is supposed to be... never expected and certainly never demanded... a well-appreciated expression of thanks for a job well done. As to how much... the amount is entirely up to you. Our movers will do a fine job for you whether there is a tip or not. First, we all buy insurance to cover many things that might go bad in our lives... auto accidents, medical problems, burglaries, etc. We do this even though we might be "perfect drivers", in the "picture of health", or have our home protected by the "best security system available". We don't intend for things to happen, but we recognize they may ... and we don't want to be left in a lurch. The same is true for moving with Morgan Manhattan. The overwhelming vast majority of our moves are trouble-free. But even the most careful preparation and highest level of professionalism can be undone by an accident or a human miscalculation. For this reason, we recommend that you make sure you are protected. By law, all moving companies (not just Morgan Manhattan) are limited to a very small amount of money as their maximum liability for the goods they move. For a local move, the law states that unless the customer purchases additional coverage, the mover's liability is limited to $0.30 per pound, per item. That translates to $15.00 for a 50 lb. chair or $0.60 for a 2 lb. porcelain figurine!! Without the purchase of additional "Depreciated Value" or "Full Replacement Value" coverage a mishap with either of these could be costly to say the least. As with all insurance policy purchases, you are happiest when you never collect on them. That money was used primarily to buy "peace of mind". We will very, very likely do a perfect job when we move you. You will have already bought that peace of mind. The extra coverage just completes the package. Are there items that I shouldn't move? Are there things I am not allowed to move? Some material is hazardous to transport in a moving van. Some material is illegal to transport across state lines. Some material travels poorly and will likely be ruined if moved. Some material is so sentimentally valuable or important to you, it is just more comforting to know that you have it in your possession, rather than worrying about it throughout the move. Some movers save the boxes that were used for another move and offer them at a discount to a different customer. Good, strong cartons are critical to the safe transportation of your goods and we feel most comfortable when we pack your things into boxes with no wear and tear – or even the possibility of it!! In our opinion, the small savings are not worth the big risk. 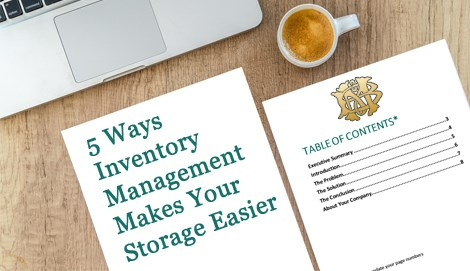 Many newer storage facilities these days tout their "climate-controlled" conditions as a benefit. Most of these facilities either already had HVAC systems in place before they became storage facilities or the developer included them in the plan for the warehouse because the long term strategy for the building (i.e. to eventually become an office building) will require it. The fact of the matter is that a climate-controlled environment is usually much more important to the comfort of the people who spend time in the facility than the safekeeping of the things that are in there! Certainly some special items might benefit from heating and air conditioning but virtually all of the items that we normally store for our customers – including museums, art galleries, oil painting restorers, antique stores, antique collectors, and homeowners – do not require this expensive luxury. If you feel you absolutely must have climate-controlled storage we have facilities that are both heated and air conditioned. Therefore an antique, made in 1851, likely survived its first 100 years without the benefit of air conditioning! The more important environmental control needed for good, safe, long-term storage is humidity control. Not "low humidity" (i.e. too dry) – consistent, mid-range humidity. The ultimate, real-world, no speculation answer to the question "Should I pay extra for a temperature-controlled environment?" can be summed up as follows... We have a extensive list of long-time customers who have stored their valuable items with Morgan Manhattan in non-climate-controlled facilities – sometimes for decades and decades and decades – with absolutely no problems due to the general environment. Every night or morning, before the trucks leave the yard, they are cleared of debris and broom cleaned. They are washed on the exterior according to a regular schedule. Every six months, each truck is "sanitized". An aerosol "bomb" is released inside the van body which leaves it pristine and germ-free. We have spent a considerable amount of money on our fleet and we treat the trucks like the valuable investment they are. Unfortunately, when one conjures up their image of a mover many times the picture is that of a disheveled, unkempt person. At Morgan Manhattan, we try to strike a good balance between making sure our crews are professional in appearance, and safe and comfortable in their clothes. We want them to be able to express themselves in their style of dress and grooming while they also look uniform and part of our team. To this end, we require them to wear our company-issued uniform shirts and jackets and blue pants. When our crew arrives at your home we expect them to be clean and presentable. As the day wears on, they will likely get less and less so!!! The two keys to safely transporting your furniture is in the wrapping of the item and loading of the truck. The item should be wrapped in the room it occupies at the origin and then carried to the truck – not vice versa. Carrying it from the room and through the house is when the real possibility of damage can occur if it is not properly protected. Wooden furniture gets wrapped in moving blankets, upholstered furniture gets shrink-wrapped. Safely and correctly loading a moving truck is both an art and a science! Heavy items create a stable "base" and getting the rest of the items to snugly "fit" into the load so they will travel damage-free takes years of experience to master. Our drivers are some of the best in the business! Reverse the process at destination and your furniture should be in the same condition in your new home as I was in the old one! We go to great lengths to prepare your origin and destination for the move before we touch a single item. Hardwood and tile flooring is protected with sturdy, vinyl "runners" to keep scuffs and dings from happening. Special plastic coating is applied to carpeting to keep it clean. Doors and banisters get custom-made protective padding because these are the places most likely to either take impact or cause dings and dents in furniture if they are left unpadded. When you pack for me, how will I know what items are packed in which cartons? When a packer finishes packing a carton, he labels it with the room it came from and certain key descriptions. If only one (or a few) items went into the carton, he will write the actual items on the outside of the box. If many similar items went into the carton, he will use descriptive words like "Knick-knacks" or "Photographs" or "Desk Contents". If you are concerned about any item(s) in particular, just point them out to the crew chief at the start of the job and he will make sure they are easy to track through the entire process. While unpacking for myself, how do I make sure I get every item out of a box before it is disposed of? When you open a professionally packed carton there is certainly a lot of newsprint! Generous amounts of crumpled newsprint protect packed items very well. However, when unpacking you need to make sure that something of value is not accidentally tossed out because you didn't probe every corner of the box and assess every wad of paper. If you are planning to do your own unpacking, consider having our professionals at least unpack the cartons most likely to have these "hidden" things – the dishpacks. If pricing a move were simple, we could all save a lot of time and aggravation. Unfortunately, pricing a move is anything but simple. Just read our section on Estimates. We do not publish set rates. We establish our price to execute a move only after we see the entire job and understand the task completely. Only then can we make sure we take everything into consideration and give you an estimate that you can count on. "Ballpark" estimates always seem to come back to haunt us. Either they are too high, and we are therefore perceived as too expensive, or they are too low and the customer is disappointed and irritated when the actual job comes in higher.